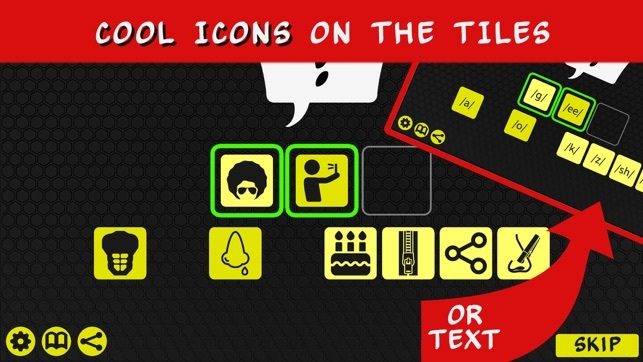 Phonemic awareness training meets pop culture jargon and clean slang in an app that older students will love! Practice hearing phonemes, identifying missing phonemes and arranging them into words. What words? Over 250 of them including surfing terms, social media lingo, school-yard epithets and, of course, a few terms worthy of Captain Underpants. 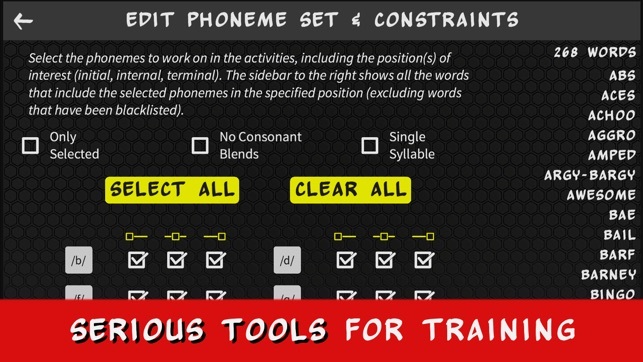 Control which phonemes to focus on in the Phoneme Set Editor. 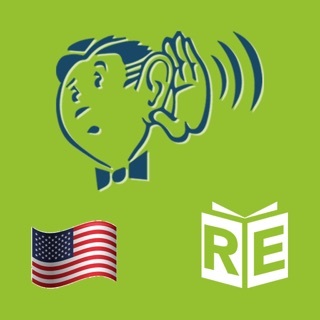 With the Editor feature, you can fine tune which phonemes the learner is asked to identify and differentiate. Want to train on word-initial consonants only? Short vowel sounds? Exclude consonant blends? 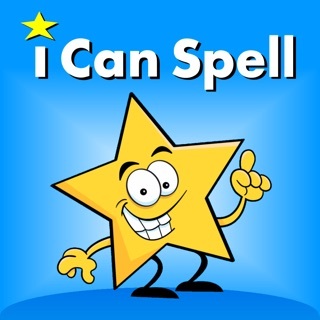 Use single-syllable words only? It's all easy with the Editor. With over 250 slang words from all over the globe, there are sure to be some words or usages that are new to you or your student. No worries! 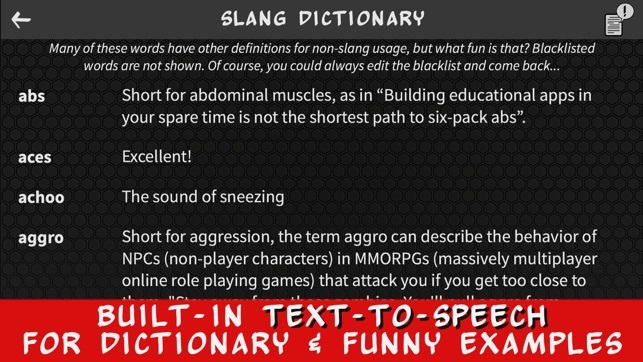 A tongue-in-cheek slang dictionary is built into the app with a handy text-to-speech function to read the definitions aloud. Any words you'd rather not use at all? Just add them to the app's blacklist. - The much requested Chipmunk voice is now available in Extra Goodies (as well as British..ish, Cowboy, Dark&Mysterious and, of course, the default voice, Handsome Canadian). - Updates for iOS 12. 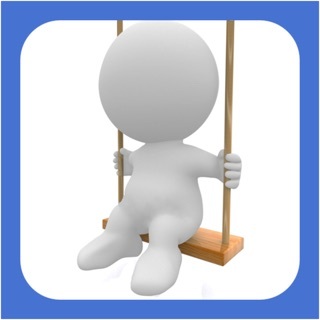 - Funny Phonemes is now a paid app: access to the phoneme set editor and all the voices, themes, sound effects is fully unlocked. I am rating this a 4star because the app support was swift and helped me fix my user error. Also, it seems like a fun way to support older students in an age appropriate manner. However, I have yet to use this with students. I will edit my review at that point. So far, my 12 year old thinks this is a fun app.